Welcome to 118 Maple Avenue. A perfect old Florida getaway in the City of Anna Maria. The home is an original block home. However, it was lovingly renovated from the ground up by Gagne Construction in 2013. No part of the home was untouched. The present owners use it as their primary residence, but previously, the home was a successful vacation rental grossing over $100K a year. 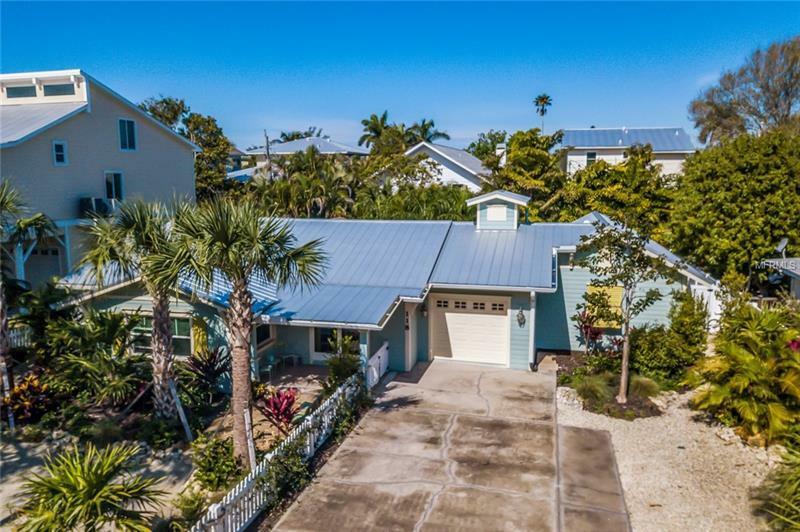 It could be your dream beach house in the City of Anna Maria. First and foremost, it is west of Gulf Dr and just steps from the sandy beaches of the Gulf. The home is also a short walk from the shops and restaurants in the City and do not forget the free trolley out on Gulf Dr. It is ground level with no stairs to climb. Pull up in front of the home and the cute picket fence and lush landscaping immediately catch your attention. There is a large open floor plan and gourmet kitchen with a gas cooking for easy entertaining. Three bedrooms, three baths and a den allowing for 8 vacation rental occupants. Large patio doors look out onto the heated pool and ground level private patio. The master bedroom has a private sitting area that also overlooks the pool. The home is being sold turn-key furnished, less some of the sellerâs personal items. It is ready move right in and should easily become a successful vacation rental should you choose. Make sure you look at the 3D tour on the virtual tour link 2.